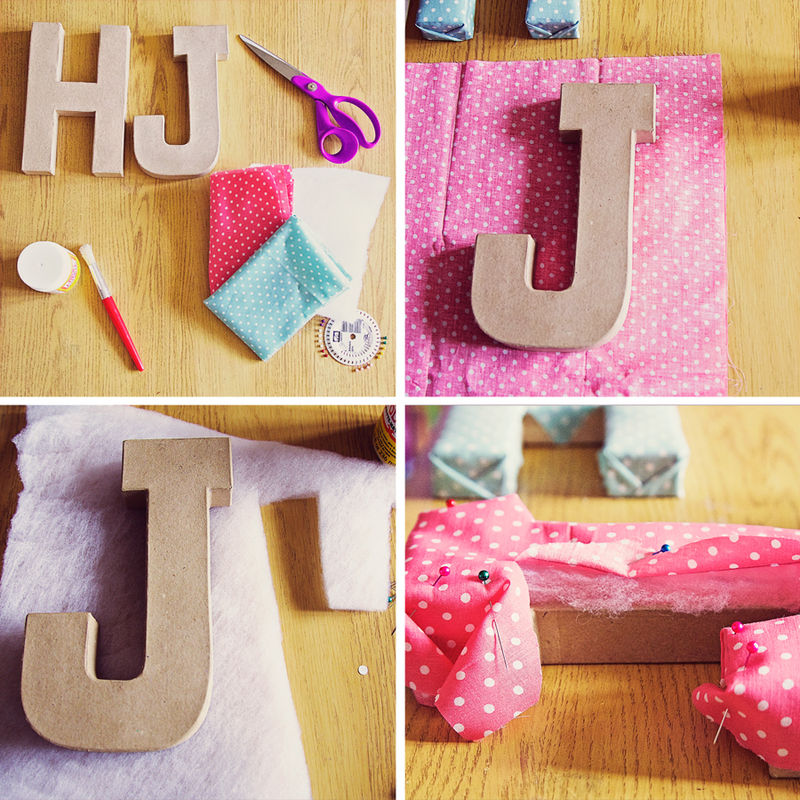 I have a whole fat quarter bundle in my craft box that has barley been touched so when I saw Hobbycraft's blog post of ideas for using cardboard letters I was inspired to have a go at DIY myself. 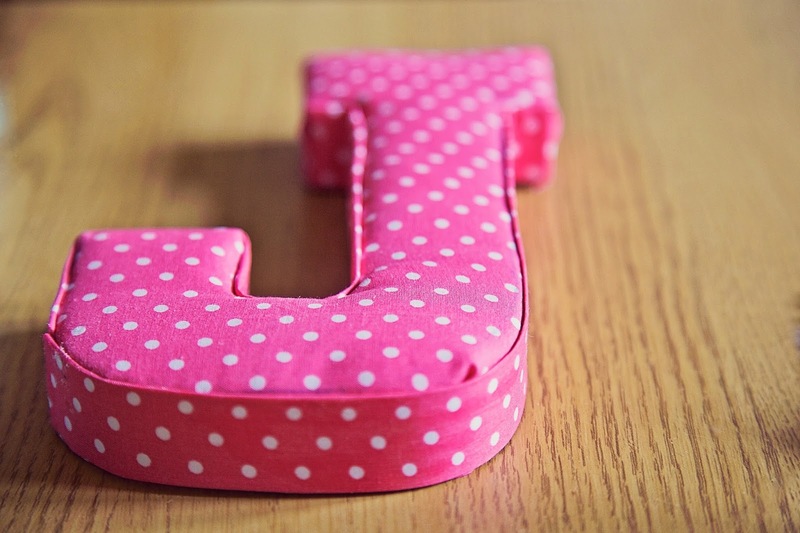 I loved the idea of fabric letters for ages but it never really occurred to me that I could make them myself. They are incredibly popular for decorating children rooms but they can really look pretty anywhere. I decided to have a go at making mine and Harry's initials and today I am sharing with you how I did it! First things first you'll need your materials. I used two fat quarters, one for each letter, as I wanted my letters look the same all the way around but if you'll need four if you want to alternate the colour or pattern of your edges. 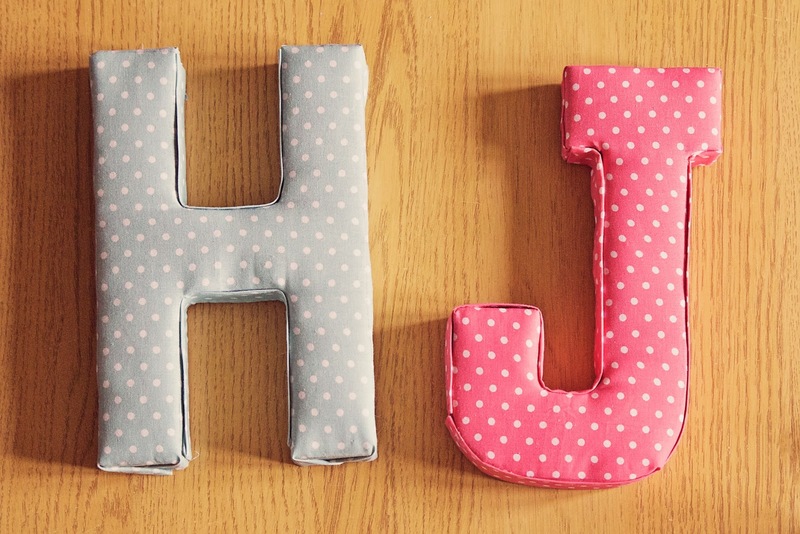 You'll also need some padding for the front face of your letters, I used Hobbs Easy to Quilt polyester. Lastly you need some pins, fabric scissors, Mod-Podge and a brush, and a sheet of A4 card (not pictured). Start off by drawing around your letter on your fabric and padding. Use the reverse side of the fabric and make sure you reverse the letter too, otherwise your shape will be back to front! Make sure you use an invisible fabric pen (which I didn't have) or be sure to be very light handed. 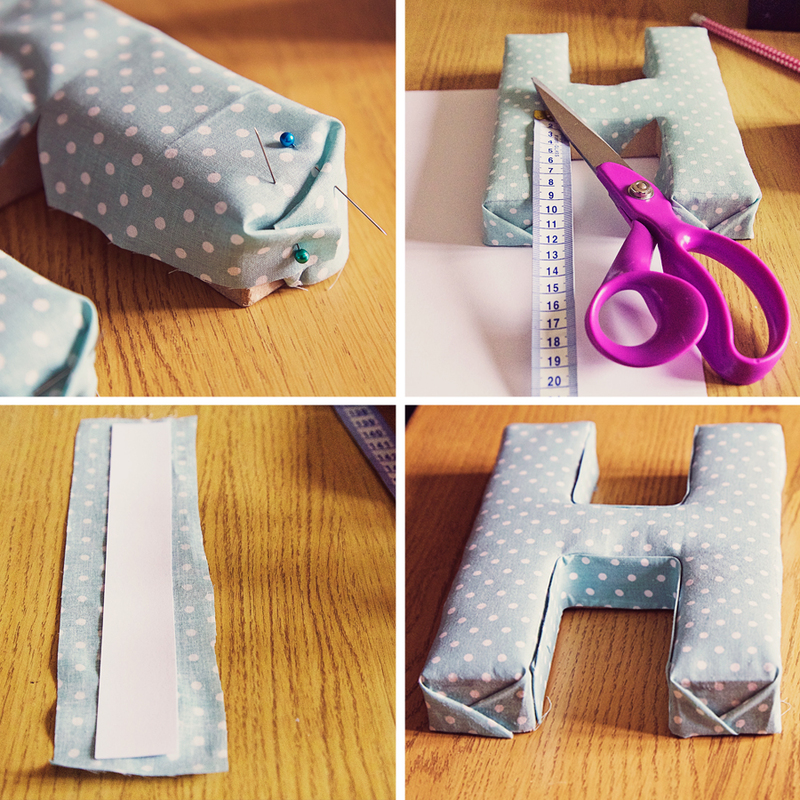 Cut out your shape with an extra inch or so around the edge, it doesn't have to be neat but you do need the excess to allow you to fold the fabric around your letter later. Next lay out your shape on your padding, draw around it and cut out the shape exactly. Once you have your two letter shapes lay them both on top of your letter. You'll want to use your pins to help your layers stay in place and take the shape of your letter. You may also need to cut small tabs into your fabric to allow it to fold. Don't worry about pinning them perfectly as it acts as more of a guide. Now you'll want to glue down the fabric using Mod Podge. Start by placing a little but of the glue under the padding to keep it in place. Then work your way around the letter, starting with a straight side, smoothing and gluing the fabric as you go. Don't worry too much about how the fabric looks along the side of your letter as you'll neaten this up with the card strips in a bit. When you reach an end, neatly fold the fabric in two triangles like a present and glue down. To create the sides of your letter, start by measuring along the inside of the shape. Ideally you'll use one long strip as this minimises the amount of seams. Cut a strip of card to the same length and width as the edge of your letter and use it as a guide for cutting your fabric, allowing for an extra centimetre along each side. Place your card strip on top of the reverse side of your fabric, glue and fold the edges of the fabric in. Fold your new strip along the edge of your shape, making sure to press it firmly into any corners, then use Mod-Podge to glue it down. I used two strips for each inside edge of my 'H' however you may need more. I was very lucky that my original layer covered the outside edges neatly so I didn't need to make strips for these edges. The 'J' was trickier but I used one strip for the inside edge, another for the outside edge and one more for the top. Now your letter should be finished! Mine needed a little bit of neatening up, especially where threads had come loose but they looked very good for a first attempt. I think I'm going to put them up on our bedroom wall but I also like the idea of using them to decorate shelves. I'm still surprised at how easy they were to make so I might even make some more, I could make words for every room! If you decide to give this tutorial a go make sure to let me know how you get on!